I'm excited to be hosting Si and Roo's first Lil' Mess Dress Giveaway ($32.00 value)! 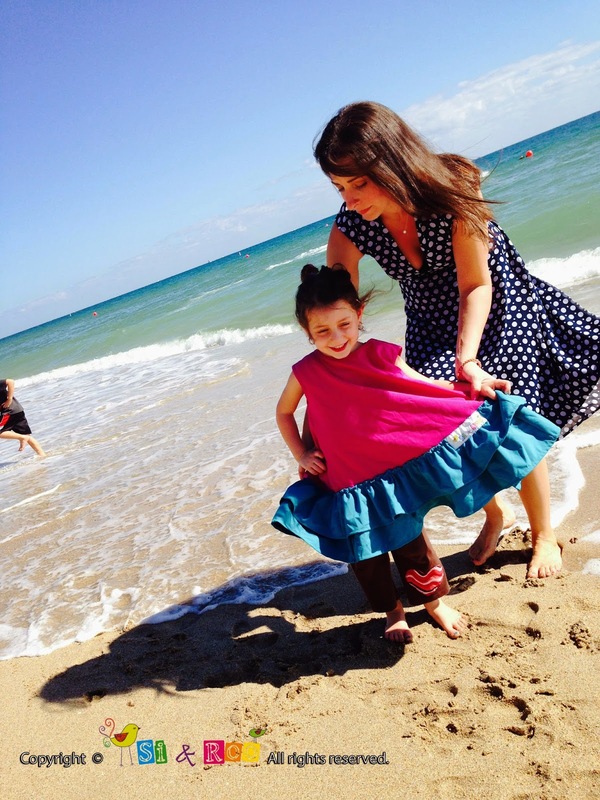 Si and Roo will be giving away one Ocean Dreams Lil' Mess Dress in the winner's choice of size! The Lil' Mess Dress is one adorably, tough little dress! 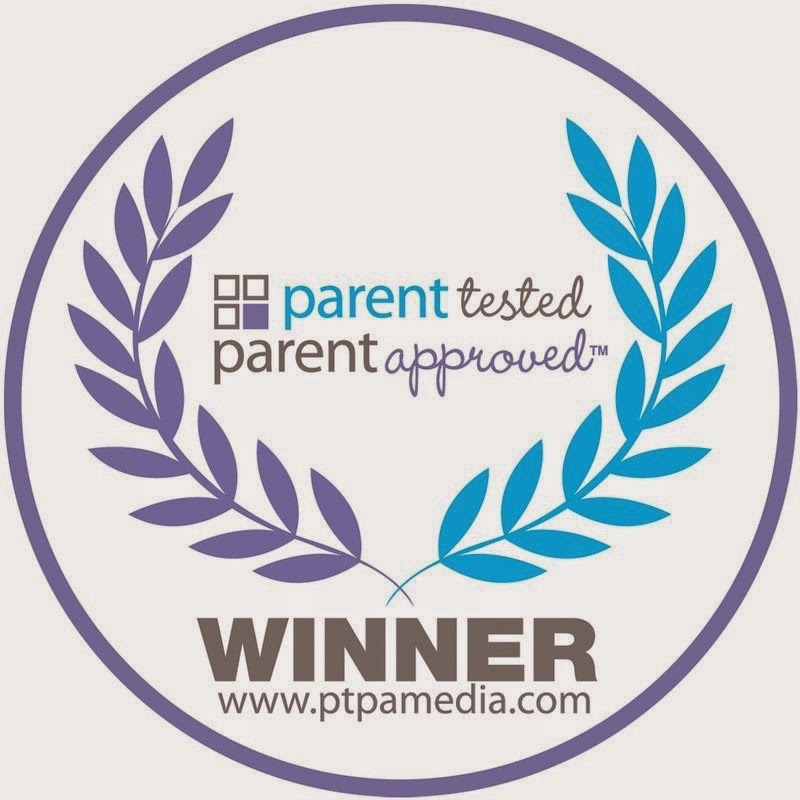 It was designed in July, 2014 and has already received an endorsement by PTPA (Parent Tested Parent Approved)! I feel fortunate to have had the opportunity to test the dress prior to the company launching. It is adorable and lives up to its name! I had my three year old eat pasta, roll in the southern red clay mud, and even smear mustard and ketchup all over the dress. Everything came off in the wash! I was so impressed! The material is soft and comfortable. The ruffles on the bottom make it fun to wear. And the colors are bright and cheerful. This Lil' Mess Dress is part of Si and Roo's Signature Collection. It was inspired by the beautiful oceans of Key Biscayne. Dinner on the beach will never be a mess with our beautiful Ocean top detailed with two rows of Fuchsia ruffles. It all stuffs into a Ocean colored bag for easy travel. Si and Roo was founded in 2014 by Shawn Ostrower, a loving mom of two and an educational psychologist who has developed literary and developmental programs for Independent and Charter School Districts. And that's just the beginning! Shawn Ostrower has worked with non-profit companies providing early intervention services and CPSE evaluations for low-income families, and also founded Educate2learn. Being an entrepreneurial mom, Shawn found a need for a product that was attractive to her children and would keep their clothes clean. It had to be portable, breathable, water resistant, and safe. After scouring the internet she was unsatisfied with the limited options. The smocks were unappealing and bibs were not developmentally appropriate. In July 2014, on her personal sewing machine the Lil' Mess Dress was born. The Super Mess Maker was soon to follow. With these two new products, we offer parents and children a fun, innovative, and developmentally appropriate way to stay clean. Prize: One winner will receive an Oceans Dream Lil' Mess Dress (US only) $32.00 retail value. Contest closes: December 14, 11:59 pm, 2014 Open to: US and Canada How to enter: Please enter using the Rafflecopter widget below. Terms and Conditions: NO PURCHASE NECESSARY TO ENTER OR WIN. VOID WHERE PROHIBITED BY LAW. A winner will be randomly drawn through the Rafflecopter widget and will be contacted by email within 48 hours after the giveaway ends. The winner will then have 72 hours to respond. If the winner does not respond within 72 hours, a new draw will take place for a new winner. Odds of winning will vary depending on the number of eligible entries received. This contest is in no way sponsored, endorsed or administered by, or associated with Facebook. This giveaway is hosted and managed by Melissa Perry Moraja of Melissa Productions. If you have any additional questions – feel free to send and email to Melissa(at)Melissaproductions(dot)com. I received this product free in exchange for my honest opinion. I was not compensated in any way for my review. All opinions of this product are 100% my own. 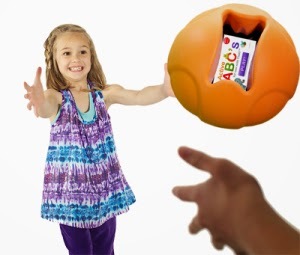 TheO SmartBall Giveaway - Make Learning Easy and Fun! I am so excited to be hosting TheO SmartBall Giveaway - one of the hottest award-winning toys this holiday season! The winner of the giveaway will receive one TheO SmartBall (retail value $39.95). This educational and entertaining ball is for kids preschool to 5th grade. My kids and I had the opportunity to try out TheO Smartball and we gave it two thumbs up! It's a blast, especially with the app learning games! There are 8 free apps total to download and others available for purchase. We downloaded several free apps. Me being the frugal mom had to test it out before investing in more apps. There wasn't an app that my kids didn't have a blast playing with. My 10 year old daughters favorite was the Hot Potato app, while my three year olds favorite was Sing & Dance and ABC app. As for my 10 and 11 year old boys, they enjoyed throwing and tossing the ball around faster and faster to see how fast the songs could go on the app. I loved that it provided them with a really good workout! Overall this is one of the best toys for kids. It's educational! It's fun! And it allows them to get some physical exercise in while learning! The National Parenting Center's prestigious Seal of Approval has been given to TheO Smartball! 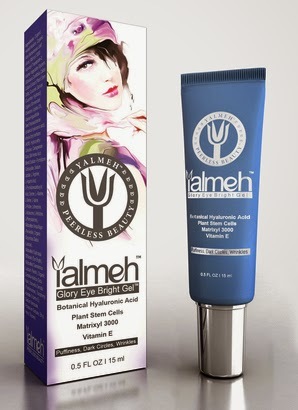 Yalmeh Glory Eye Bright Gel Brightening Eye Cream Product Review. Hooray to a product that actually firms and tightens those ugly crows feet around the eyes! I love the sun, but never realized how much damage it could do to my skin until I reached my 40's. And pollution isn't helping things out any better. Those fine line aging wrinkles around my eyes literally creeped in over night and boy would I like to see them disappear. I've been wanting to try an eye cream that not only helps soften (and eliminate) those fine lines, but also helps with puffiness caused my allergies! My allergies have been brutal since I moved to North Carolina. 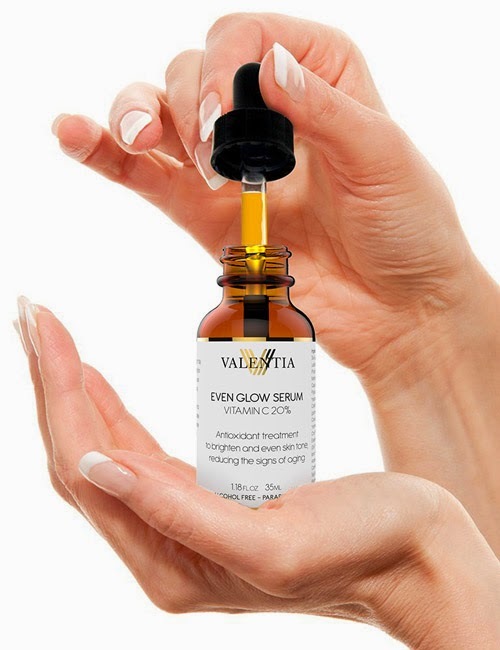 Well... a couple weeks ago I was fortunate to come across Yalmeh Glory Eye Bright Gel being offered on Tomoson.com review site! I jumped at the opportunity to test and review the product. It is an amazing product! It has a very light cucumber scent and actually feels cool when applied. It isn't greasy at all. And it absorbs into your skin much faster than a cream. For the past couple weeks, I've been applying Yalmeh Glory Eye Bright Gel before bed and once I wake up. I wash my face first, then apply it using a dabbed approach around my eyes. Immediately, I've noticed the skin around my eyes actually feel firmer like they are tightening on application. As for puffiness. I haven't noticed much reduction in that area yet. But tis' the season for really bad allergies and colds too. Overall, I really like this product and highly recommend giving it a try! This product isn't tested on any animals which I love. And it is made in an advanced FDA registered facility. Since my 10 year old daughter was diagnosed with type 1 diabetes, we're always on the lookout for products that can make her life easier and safer. The Type 1 Diabetes Medical Alert Bracelet by Living the Dream Goods is a product that can alert a stranger to her disease in case of an emergency. It is made of silicone and is easy to take on and off without help. It also won't discolor your skin. What I loved about it is that it's light weight, easy to travel with, and bright! The words written on it are visible and easy to read. One side reads ALERT Type 1 Diabetes and if your rotate it the other side reads Insulin Dependent. My 10 year old daughter wore it for a day and found that it caused a lot more attention to her type 1 disease than she wanted. Her friends continuously asked her about it after noticing the bracelet. As such, she has preferred not to wear it unless she is doing an activity that is of greater risk for her safety such as swimming or white water rafting. She's more likely to experience hypoglycemia (blood sugar low) with these types of activities. Overall, we found the Type 1 Diabetes Medical Alert Bracelet to be useful, especially for traveling and vacations. We loved that it's durable, waterproof, and colorful! We've lost a couple expensive medical bracelets on trips. This package includes four, so you have a back-up if you lose one. Highly recommend if planning a vacation where you don't need the extra worry of losing or misplacing a medical alert bracelet. I absolutely love these shatterproof BPA-free wine glasses by TaZa! No longer do I have to worry about having a glass of wine outdoors. These wine glasses are shatterproof! They also are light-weight. I've already washed them twice in my dishwasher and they've come out clear, without any watermarks. These wine glasses are great for people with kids! I'm always so nervous using my glass wine glasses when my kids are around out of fear that they will knock it over, shatter the glass, and cut themselves. With these wine glasses, I no longer have to worry! I highly recommend checking these wine glasses out! I actually made a video of my first experience using the wine glasses! My kids LOVED this toy! As a mom, I'm always looking for toys that are not only fun and educational, but also durable. 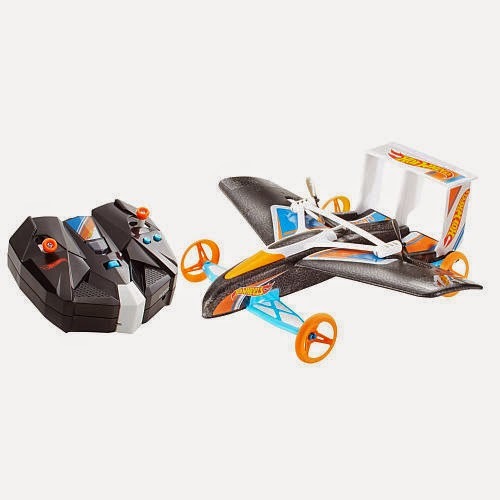 I was very excited to have the opportunity to test one of the hottest toys this holiday season - Hot Wheels RC Street Hawk Remote Controlled Flying Car as a BzzAgent! Well... actually I had my 10 year old boy and girl twins and 11 year old son test it for me. Checkout their YouTube Video below testing the product! It's amazing! Like most kids that get a new "amazingly" fun toy, each begged to play with it over and over again. It was amazing how you could remotely control it driving on the ground and then the next minute send it flying into the air. It was a little more difficult to control it when it was in the air, but it still was a blast! All three gave it two thumbs up! This toy is a great toy for any boy, and even a girl! The age on the box stated that the toy was for people 8 yrs old and older. I actually think this toy is more geared for 10 years and older. I don't think my boys would have been careful enough with this toy at the age of 8 years old and the would have broken it within a few minutes. This toy is made of a foam like material and thin plastic parts. It's delicate in many ways. My boys thought it was pretty tough because they crashed it a few times. I'm not sure how many crashes this street hawk will be able to take. My gut says not many more. My last recommendation is that you also shouldn't fly it when it is windy. It is too hard to control and it will crash! Overall this toy will keep your kids entertained (both boy and girl). I highly recommend it for this holiday season! *As a Bzzagent, I was given this toy to review by Mattel for my honest review. Two thumbs up! I actually saw results within 3 weeks! Foxbrim's Ultra Lift Treatment is a revolutionary anti-wrinkle and anti-aging facial product! It's been found to reduce the appearance of wrinkles, improve skin tone, and stimulate collagen. Packaging: The packaging is attractive. However, it is made out of a plastic material that is a little softer (bendable) than what I would have expected for a high-end facial product like this; especially one with Retinol. In the past, I've purchased facial creams in a solid plastic container that isn't bendable. This is the first that reminds me of the type of plastic a hairspray top is made out of. Aroma: Doesn't have much of a scent which I don't mind. I prefer products with no scent to a very little scent. This way I'm not smelling it all night. 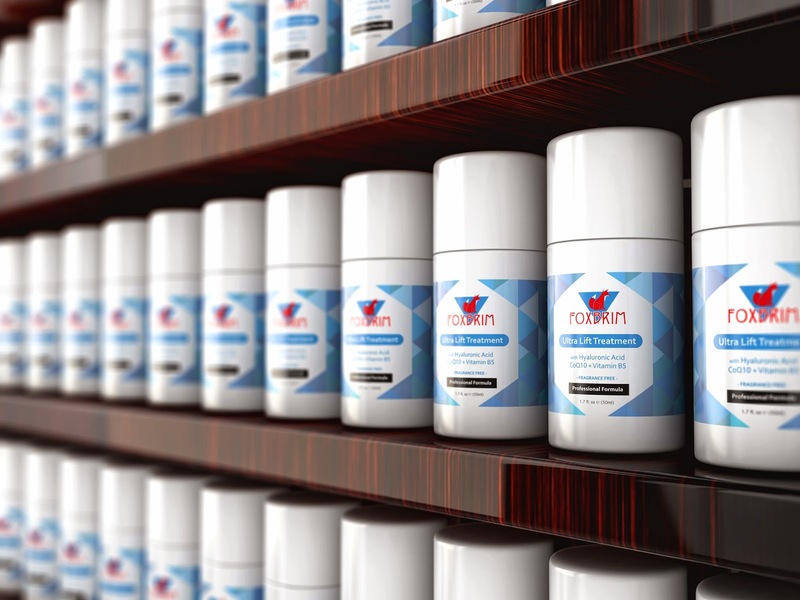 My Experience: Very impressed with this anti-aging cream. I've been using it for a couple of weeks and my facial skin is already feeling tighter. I'm also noticing a few fine lines fading, which is a huge benefit to me! I have sensitive skin and so far this facial cream has not caused any rashes or reaction. I've been using it before I go to bed. I wash my face first with a facial cleanser and then apply Foxbrim's Ultra Lift Treatment. On suggestion I have is to be careful when you press the applicator piece. I've found a lot comes out when you push it down completely. I just started to press it halfway, so less comes out. I do recommend trying this product! I've experienced results in just a few weeks! Let's do it! Let's spend quality time with our kids by turning off our phones, putting away our eReaders and tablets, and shutting off our computers. I love what this sweepstakes is trying to accomplish! Kids especially need a break from technology. Families could use some bonding time by playing a game outside together or pulling out one of your families favorite board games like HeadBandz or Monopoly or Apples to Apples! Sweepstakes ends December 4, 2014. Winners will be announced December 5, 2014! 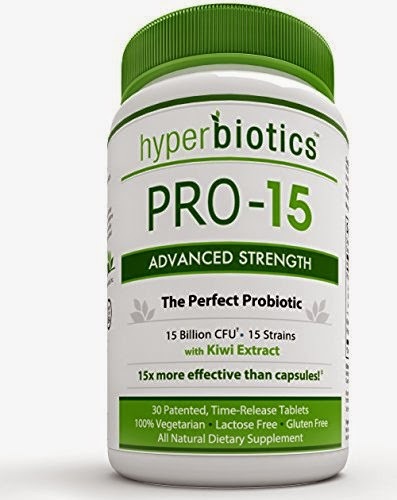 I was so excited to have the opportunity to try Pro-15 Advanced Strength Probiotics for Digestive System and Colon Health by Hyperbiotics! I've heard so many great things about this product and probiotics overall. I so wanted this product to work. But for some reason, I didn't have the same experience as them or other's who gave this product a 5 star review. I ended up a little more constipated than usual (which some people, like me, have experienced after using Probiotic type products). It may be the probiotics working and my digestive system getting back to normal. I have to admit, I've had a few digestive problems since the 1990's and have even seen specialists about it. My diagnosis was a wheat and gluten allergy (a common theme in the world today). I took this product for a month and most of the time, I've been crampy and felt bloated. Perhaps my body needs to use this product longer or a different dosage or a different form of it. I still think it's worth trying this product. If it works for you, hooray! I'm not giving up yet on probiotics. Too many people have had unbelievable success with it and I'm hoping eventually I'm one of those people. 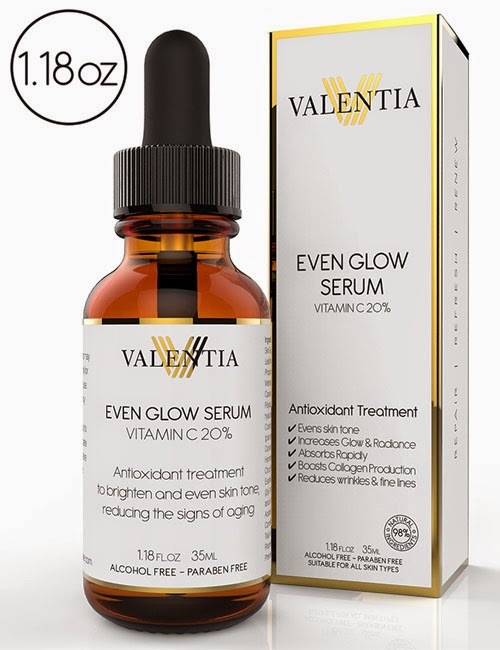 When I was asked to review Valentia’s Even Glow Serum, I was a little hesitant because I have sensitive skin. I've tried a few products from Lancome and Estee Lauder (such as Visionnaire) and ended having an allergic reaction. For over a year, I had to see a dermatologist to clear up my skin. After reading this products natural ingredients, I thought I would give it a try and I am so glad I did! Packaging: The packaging is very attractive with it's white box, gold trim and black font. Written on the front of the box is the products benefits. The line that read reduces wrinkles and fine lines immediately caught my eye. Aroma: When I opened the darkish glass bottle, I immediately got whiff of a citrusy aroma - a scent you may smell at a spas. This product smells fantastic! Almost has a tint of an orange smell. Not overwhelming at all. First impression: I first applied it before I went to bed. Immediately upon applying, my facial skin felt soft. The product itself has a silky, smooth feeling to it. It quickly absorbed into my skin. After a few weeks use: I can't say enough about this product. I didn't break out or have any reaction from this product. I did mention my concern to the company initially and they said to use a little and increase every few days. I did what they said and experienced no skin rash problems. My skin isn't dry. I can already see a difference in my skin tone, where it appears to be evening out.